This year, Story Contracting’s Ian Purdham will celebrate his 10th year with the business. 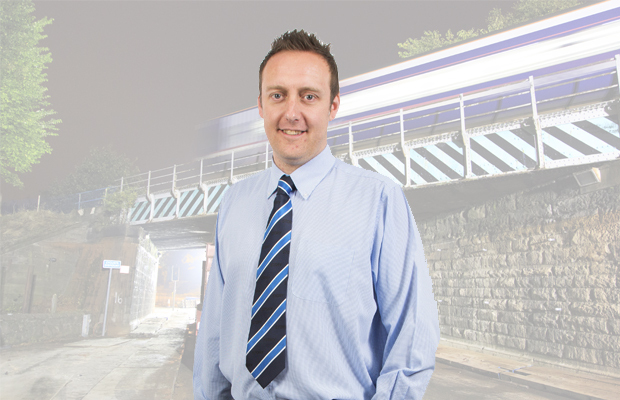 With a background as a plant operator and in the highways sector, Ian started with Story as a plant coordinator in 2005 and now finds himself as the head of operations for the Rail division. In that time he’s helped the company to complete a series of challenging projects and collect several industry award wins along the way. Story began offering its services to the rail industry in 2000. In September last year, the company was named as one of nine Network Rail framework contractors, covering the LNW region during CP5 – this was on top of an earlier framework contract win for Scotland. To deliver such a range of projects over the next few years, Story is investing in its people, developing a new training offering and ensuring long- serving staff are given the opportunity to move up through the company. ‘Moving from developing my career to helping colleagues to develop theirs is new to me but it’s something I’ve really enjoyed getting involved with and it can be really rewarding to see your team develop,’ said Ian. Ian’s own progression through the company owes itself to a combination of training, hard work and being in the right place at the right time. Whilst working on the Blackpool Tramway Project in 2011, Ian made the most of an opportunity to put his project management skills to the test. Following Blackpool, Ian grew into this project management role and in 2013 he was promoted to operations manager of Story’s rail business. Over the last couple of years, Story has won awards for several projects and last year was named as Network Rail Supplier of the Year. By the end of CP5, Ian says Story want to be established as a preferred framework contractor. ‘Come the end of the five-year framework, we really want to be right at the top of our game and making it impossible for the client to go elsewhere. As Story continues to grow, so does its need for new people and skills. To fill this gap, the company is in the process of building a solid foundation of training and staff cultivation. This includes the creation of an ILM-accredited trainee site management programme. In 2014, Story made a record 120 hires across the contracting business thanks largely to the framework wins. For Ian, who lives in Carlisle, the priority is to bring in new people, local to its regional bases, from entry level and recognising loyalty by promoting from within – Ian himself began climbing the ladder after spotting a trainee quantity surveyor role advertised, and was sponsored through completion of his degree whilst working for the company. Ian said he was mindful not to ‘stifle growth from within the business’ and Story’s recruitment plan mixes both external recruitment and internal promotion. As a principal contractor, it is also important that Story is seen to be addressing the industry-wide skills shortage, something Ian recognises. ‘We’re working alongside the likes of Murphy’s, Carillion and AMCO, big companies and groups with established training programmes,’ said Ian. ‘The likes of Balfour Beatty will have world-renowned training programmes, so as a smaller family-owned company, we have had to look at our offering and how it stacks up against the leaders in the industry. Having the opportunity to collaborate on projects alongside these groups has it’s benefits but at Story, we always do what’s right for us and our people, on our own scale, which is manageable and doesn’t detract from our values and vision.